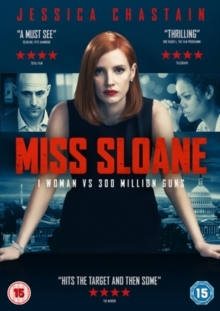 John Madden directs this thriller, telling the story of Elizabeth Sloane (Jessica Chastain), a highly talented lobbyist determined to advance gun control measures in the United States. Sloane has a reputation as formidable, cunning and ultimately successful. But she has never faced opposition quite like this before, and this bout places her career in jeopardy. The cast also includes Mark Strong, Gugu Mbatha-Raw and Sam Waterston. The film was nominated for the Golden Globe Award for Best Performance By an Actress in a Motion Picture - Drama (Chastain).